The Silicon Valley-New Japan Summit 2017 that will be held here at Stanford University is right around the corner. Last week, we held our first press conference in Tokyo, with the heads of JMA and Ishin Group. 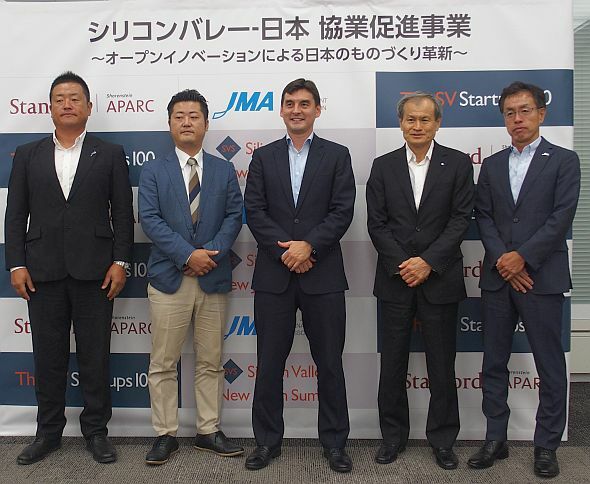 The summit, which will take place at the end of November, follows the success of both the Silicon Valley-New Japan Summit 2016 at Stanford, in which over 50 Silicon Valley startups participated, and over 400 people attended, and the Silicon Valley New Japan Summit 2017 Tokyo this past June in Japan, that saw about 600 attendees. With a growing interest in open innovation from both large firms and startups, our hope is to create opportunities for the exchanging of ideas, and facilitation of collaborations. The event will be jointly produced with the Japan Management Association (JMA) and Ishin Group, and will be held here at Stanford University.